A little-known provision in the Texas Election Code allows polling locations to be switched with hardly any notice — and voting-rights advocates fear that it could be used to disenfranchise low-income voters. 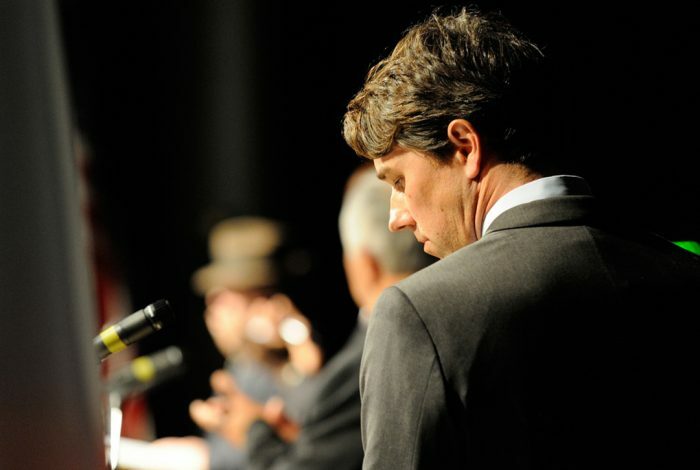 That provision is particularly concerning this year, as this type of issue could constitute a tipping point in the hotly contested race between Republican Senator Ted Cruz and Democratic challenger Beto O’Rourke. Texas officials can change — or close — polling locations up to 72 hours before an election. The provision was part of a sweeping law that Lone Star State Republicans pushed through in 2013. They did so after the Supreme Court’s Shelby County v. Holder decision freed the state from the obligation to get federal approval for changes to its voting procedures. Texas took full advantage and put in place provisions in the Texas Election Code allowing these last-minute closures. In recent years, Republicans have increasingly focused on shutting down polling locations. Although there have been some efforts at the county level to address voting obstacles, most minority and low-income voters in Texas remain vulnerable. In 2016, the state closed more polling locations than any other state in the country with a total of 403 closures, according to a report from the US Commission on Civil Rights (USCCR). Much less publicized than these closures, however, were the last-minute changes to polling locations. Experts say this tactic primarily affects African American, Latino, and low-income voters because of limited time and access to polling locations. According to the USCCR, most of these polling closures occurred in counties with a long history of Voting Rights Act violations. Whether a person is impacted or not by these closures comes down to “voting privilege,” Wanda Zamorano, a representative of the League of Women Voters of Irving, told WhoWhatWhy. These polling closures are both intentional and likely to happen again, critics charge. Zamorano believes that election officials in some places are deliberately trying to discourage people from voting. By “slowing things down” and keeping lines long, they hope that voters who may be ideologically opposed to those in power will give up and go home instead of waiting to cast their ballots. The populations affected by poll closures or changes are more likely to support Democrats. With Texas in the middle of a Senate race that is tighter than most in recent memory — and that could hand control of the Senate to the Democrats if O’Rourke manages to upset incumbent Cruz — the outcome could hinge on turnout. Texas has the fifth lowest voter turnout in the nation and experts agree that any threat to voting rights will only reduce the state’s abysmal numbers. Josh Blank of the Texas Politics Project told WhoWhatWhy that in addition to voter suppression, voter apathy is a major factor. In a state where turnout is low, and suppression and apathy are high, any additional threat to voting rights, including new polling closures, is worrisome, especially considering Texas’s track record of Voting Rights Act violations. A possible solution down the road, according to Dianne Trautman, a candidate for Harris County Clerk, is the Countywide Polling Place Program. The Countywide Polling Place program permits certain Texas counties to allow voters to cast their ballot at any polling location in their county. 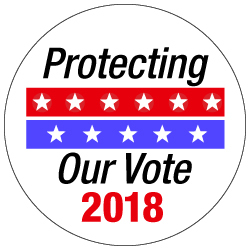 This program would allow voters to vote at any voting location on Election Day, just as they can during early voting, thereby eliminating much of the inconvenience caused by polling closures and changes. Trautman noted that the program, which is currently being used in 52 of the 254 counties in Texas, has helped increase voter turnout. While this program could be a partial solution to the adverse effects of polling site closures, it requires counties to meet certain requirements and go through a lengthy application process. And it is up to the Texas Secretary of State to approve each county’s application. In light of the Lone Star State’s track record of discouraging voters who might turn the state purple, getting this program implemented across Texas could pose a high hurdle to climb. Correction notice, 11/1/2018, 4:55 p.m.: A previous version of this article referred to Wanda Zamorano as a representative of the Texas League of Women Voters, as opposed to the League of Women Voters of Irving. We regret the error.